August Meeting at Sugar Maple! Our next meeting will be Thursday, August 1st at Sugar Maple!! Help us celebrate our first anniversary! 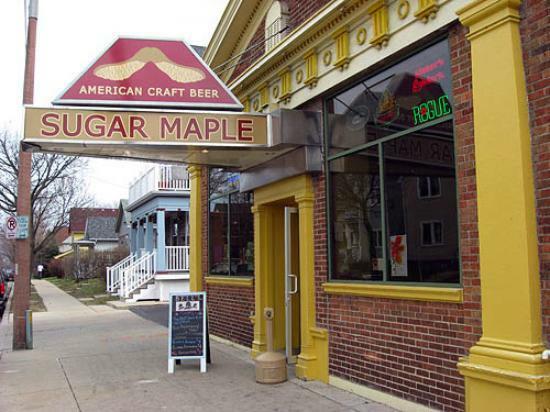 We are headed to Sugar Maple – where it all began last August. We’ll start with social hour at 6pm and meeting at 6:30 pm (please note early start time!). We are very excited that Karen Daniels from Lagunitas in Chicago and Katie Stroo (formerly with 10th and Blake, now with Beechwood) will be joining us to talk about life in the beer industry. There is a $5 fee for this meeting. Hope to see you on Thursday! See Facebook Event details here. This entry was posted in Uncategorized on July 29, 2013 by barleysangelsmke.